The Planar® PXL2430MW 24" LED dual-touch LCD monitor is designed to take advantage of the features of Microsoft Windows® 10. The monitor features an optical dual-touch screen and USB touch screen interface and is optimized for consumer multimedia, education, and computer labs and classroom applications. The Planar PXL2430MW 24" widescreen LED dual-touch LCD monitor is optimized for consumer multimedia applications — such as reading documents, turning pages of e-books, flicking through and re-sizing digital photos, or playing games. Designed to take advantage of the features of Microsoft Windows® 10, the monitor features an optical dual-touch screen and USB touch screen interface. No drivers are needed for touch screen operation. 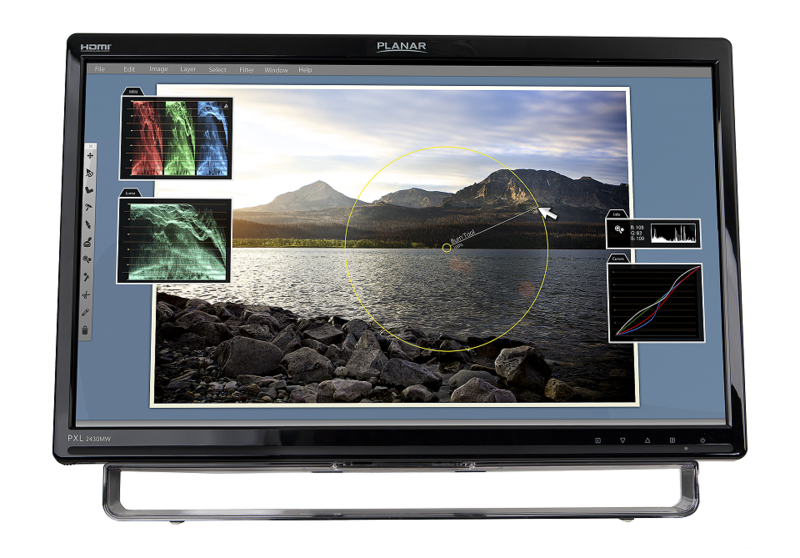 The Planar PXL2430MW is available with analog, DVI-D, and HDMI input options. The Planar PXL2430MW incorporates blue light reduction presets. Varying blue light levels depending on the activity enhances visual comfort when viewing the screen for extended periods of time.